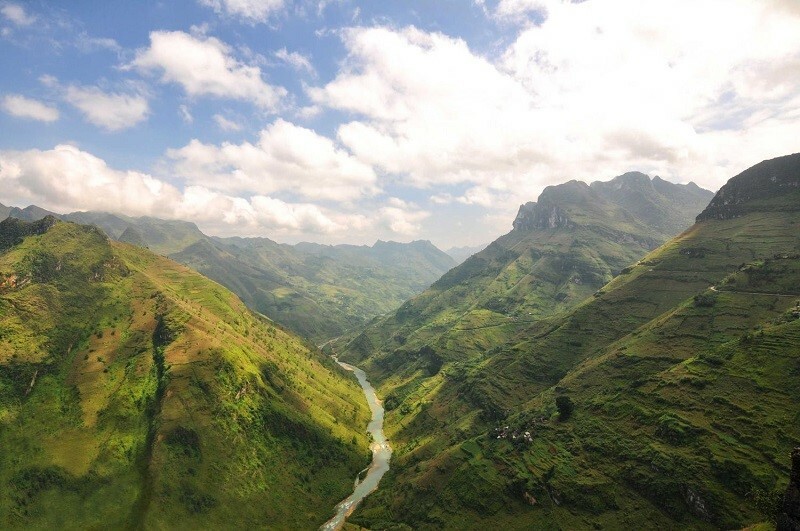 Ma Pi Leng Pass is in the complex of geological park of Dong Van (Ha Giang), which is recognized as a global geological park. Explaining the real mean of this name, the local people said Ma Pi Leng means “horse’s bridge of the nose”. It expresses that this is a craggy Pass that horses are afraid of going through. 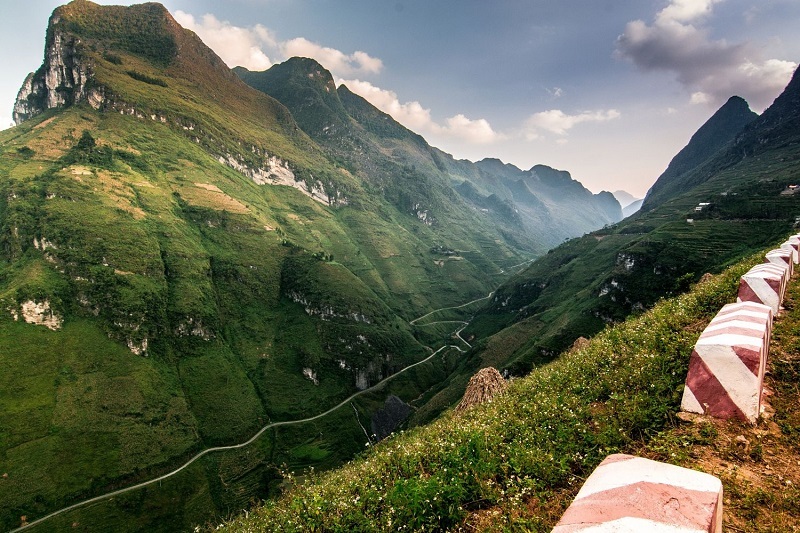 Ma Pi Leng has a height of approximately 2,000m, a length of 20km, connecting Dong Van district to Meo Vac District, based on ancient sediments formed hundreds of millions of years ago. Looking down from Ma Pi Leng, there is a winding river named Nho Que that is just seen as a thin yearn crossing ravines. 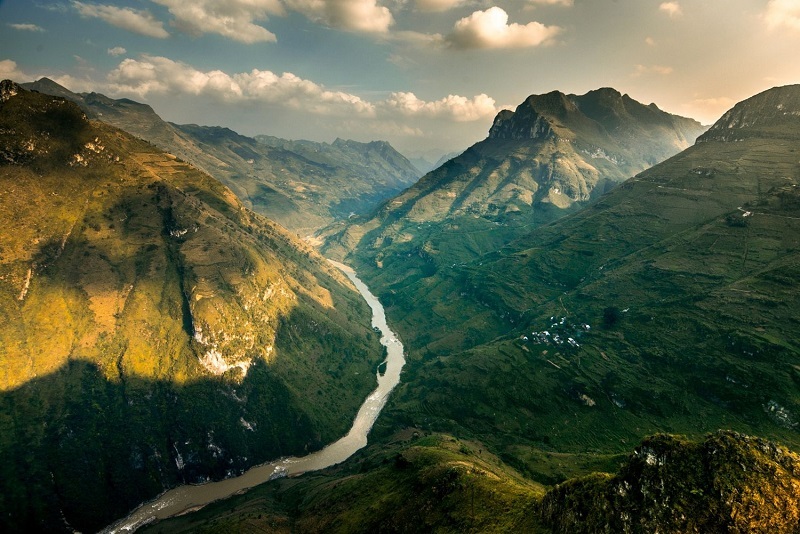 Nho Que river originates from Nghiem Son mountainous area (Van Nam-China) that is called Pho Mai river with a height of 1.5000m, flowing to the Northwest-Southeast. 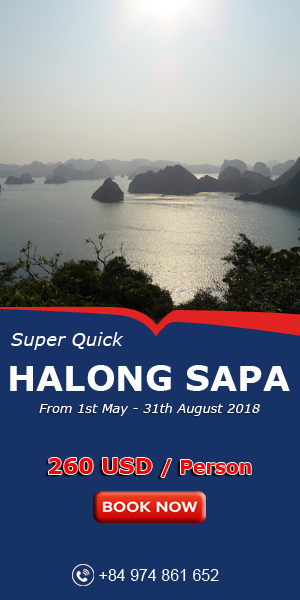 Nho Que river flows into Vietnam from Seo Lung village, Lung Cu commune, Dong Van district, and it continues to flow through Dong Van town, Ma Pi Leng, and Ma Pi Lung…then be into Gam river at Na Nat, Ly Bon commune, Bao Lam district, Cao Bang province and flowing downstream. It is about 12km in length from Ma Pi Leng to Nho Que River below. Therefore, It takes you about 30 minutes to reach the Nho Que river by motorcycles or cars. The road to Nho Que river is so dangerous. 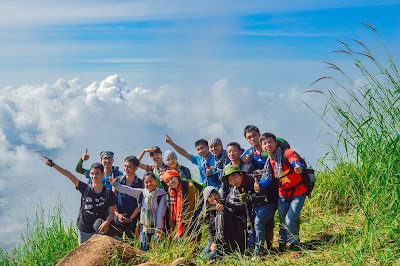 But with the youth, this is a great challenge that they want to conquer once in their life. Looking down from Ma Pi Leng, the scenery becomes more intriguing and majestic that enchants every visitors coming here. 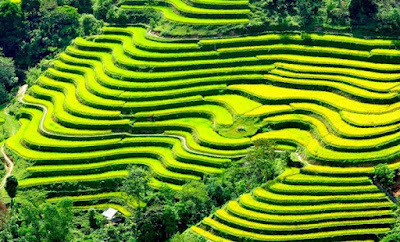 Coming here, visitors not only admire or conquer the majestic beauty of mountain, but also learn daily life of ethnic people here. 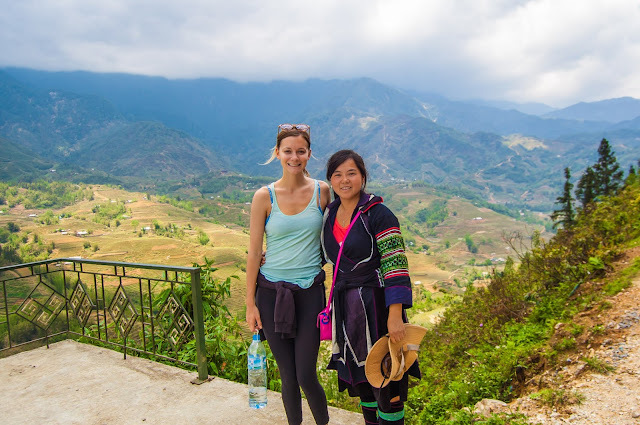 Ha Giang is a really tourist attraction for anyone who love to explore nature and people.